Dr Jengo's World: New Prince of Persia Game? On first look, this looks nothing like a Prince of Persia game. What the heck, it still does not look like a PoP game even after seeing it so many times. But coming from a trustable source, they should have evidence that this certainly was the new PoP game and not just a wild guess. 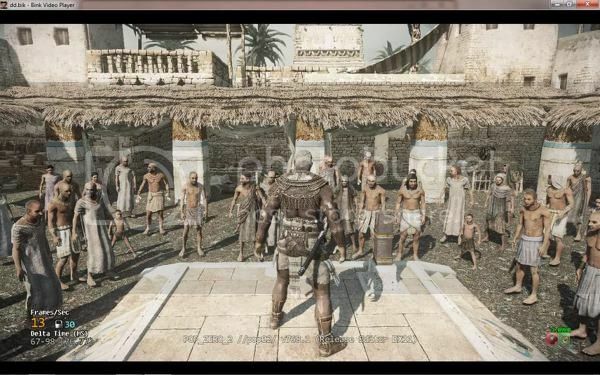 True enough, this image was popping all over the internet confirming that this was the new Prince of Persia game. Looks like it will be a reboot rather than a sequel to the 2008 reboot. Pity though, I liked that game a lot. But considering. it was not very well-received, a reboot was a better option. That explains a lack of sequel all this while with Ubisoft focused on the Assassin's Creed series. So, this is the new Prince of Persia.. Is the guy in the centre the new Prince? Everything remains to be seen. New Prince? No sequel? It doesn't matter to me.. It's been so long since a Prince of Persia game that this will do.